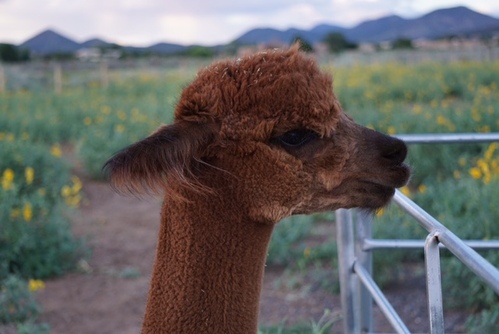 “Miss Congeniality”, that’s what guests on our ranch tours call our sweet Lalique! 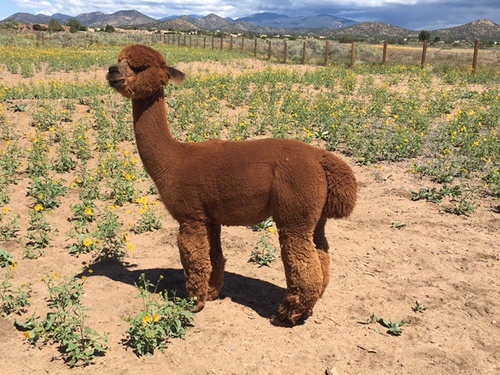 You visit our ranch without having ever made friends with an alpaca, but definitely you will be thrilled when Lalique brushes up against you and lays her head on your shoulder. She is a real lover. Currently she’s given us 3 male offspring (Charlie Brown, Winston, and Wyatt). 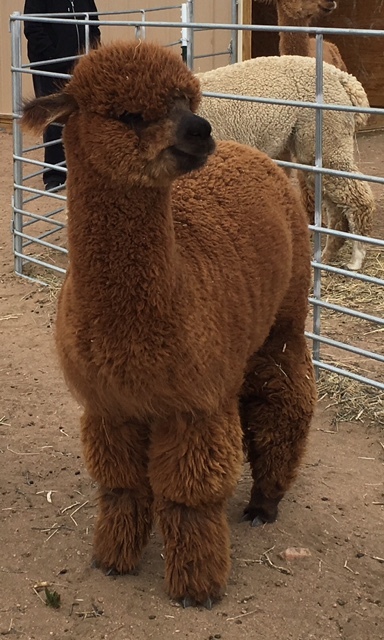 Between Winston and Wyatt we have earned 5 fleece/halter ribbons in sanctioned alpaca shows. Winston is showing us he has great potential. 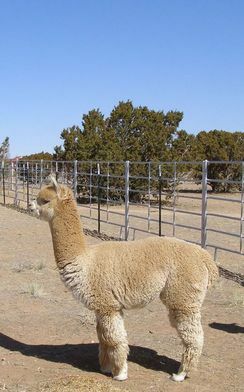 He has one cria on the ground, Rebecca. 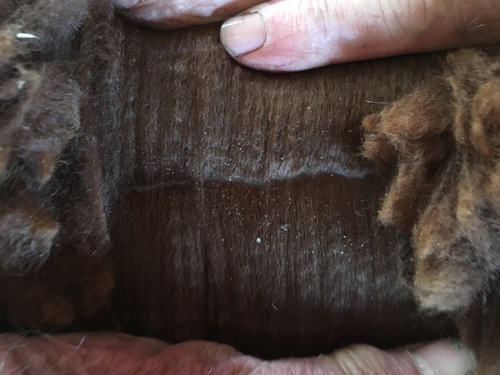 His fleece yields are consistent with the following results. 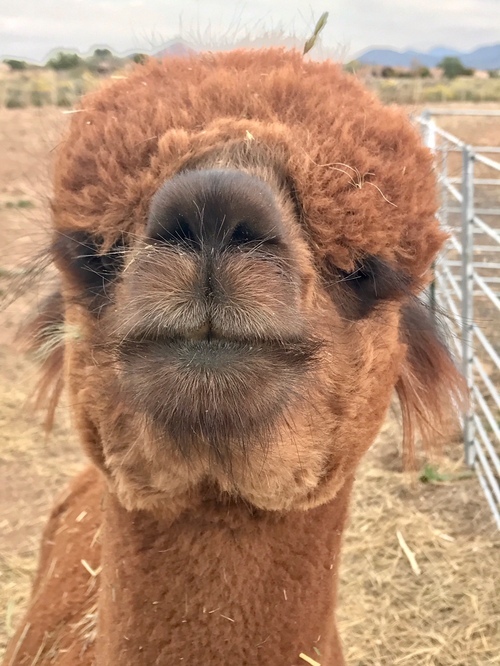 2017 Winston produced just over 10 lbs of gorgeous fleece. Average micron of 25.8. Excellent crimp. 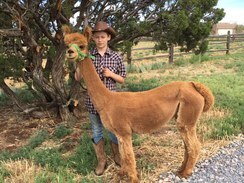 2018 " " 9.2 " "
His first offspring, a female, is on the ground.